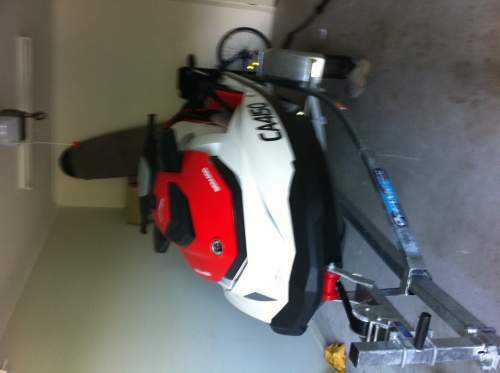 This Used Petrol SEA DOO JET SKI JET SKIS boat for sale 2012 Sea-doo GTS 130, excellent condition, only 14 hours and full service by JSW Gold Coast at 10 hours completed with no incidents. Kept undercover since new, comes with upgraded trailer (not the standard sold by JWS) also registered to Jan 2013. Three PFD�s not yet 6 months old and an anchor system are included in the sale. 3 up ski perfect for towing, cruising, regular and sports mode, 1,494cc intercooled engine, very comfortable ride with the power available at your fingertips. For the fisherman, this is an excellent platform for all forms of fishing, i have a detachable rig for rods, an esky and a tacklebox available also, this has been used twice and am happy to do a deal on this. Great all round ski, selling due to personal reasons, genuine enquiries only please.